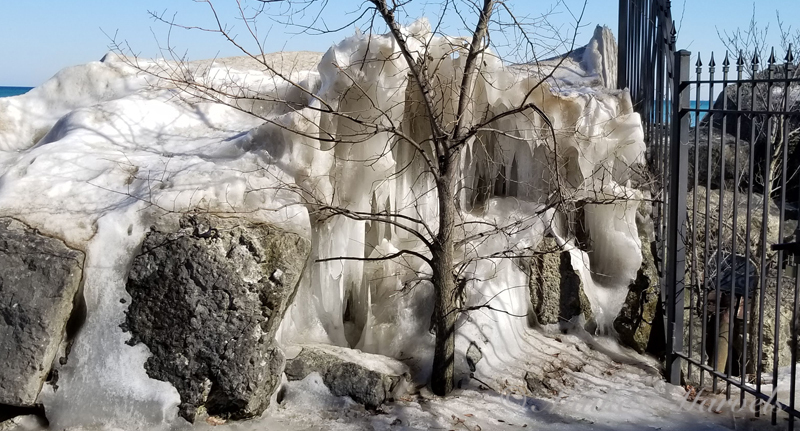 We have had record-setting weather this winter, but the cold temperatures might finally be coming to an end. The ice queen is holding out during the warm-up, but she seems to be getting with the ice-loss program this week. 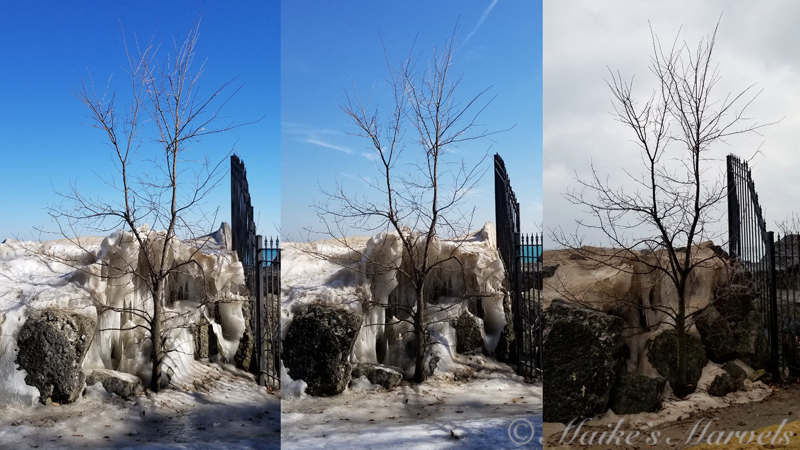 I was able to resume my longer walk route on Monday and Tuesday, when it was finally warm enough and the sidewalks cleared from ice to where I could take a longer stroll. 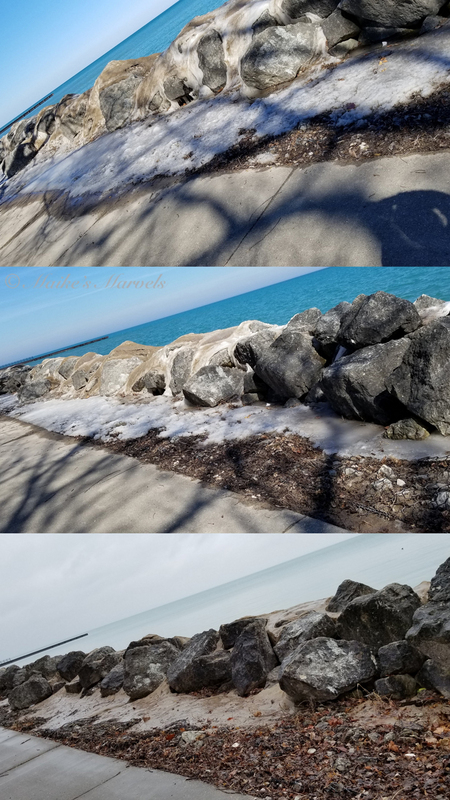 It felt good to stretch my legs without having to worry about frostbite. 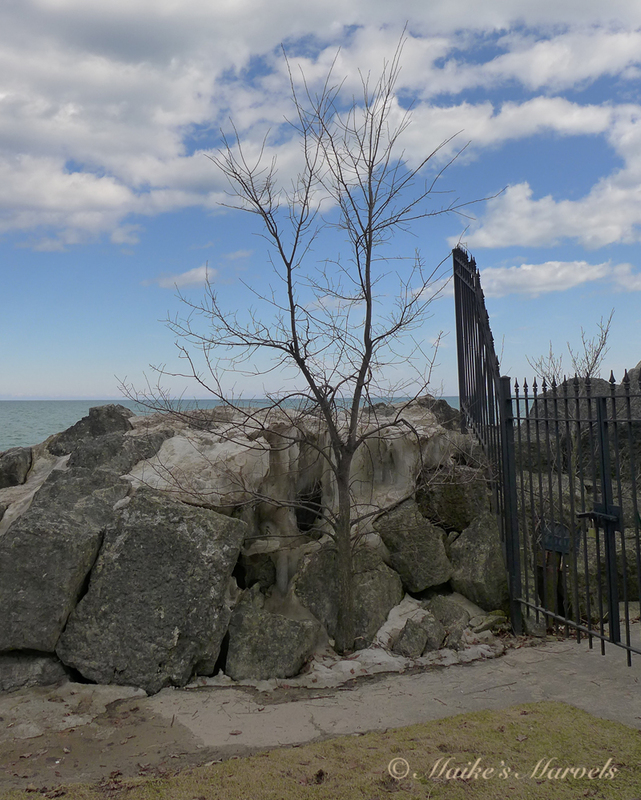 My ‘sitting rock’ at the lake front was clear enough to sit for a moment, but too chilly to journal at. At least I was able to ditch the snowboots! Just getting out the door is such an effort with all the layers required for such an extended time frame. 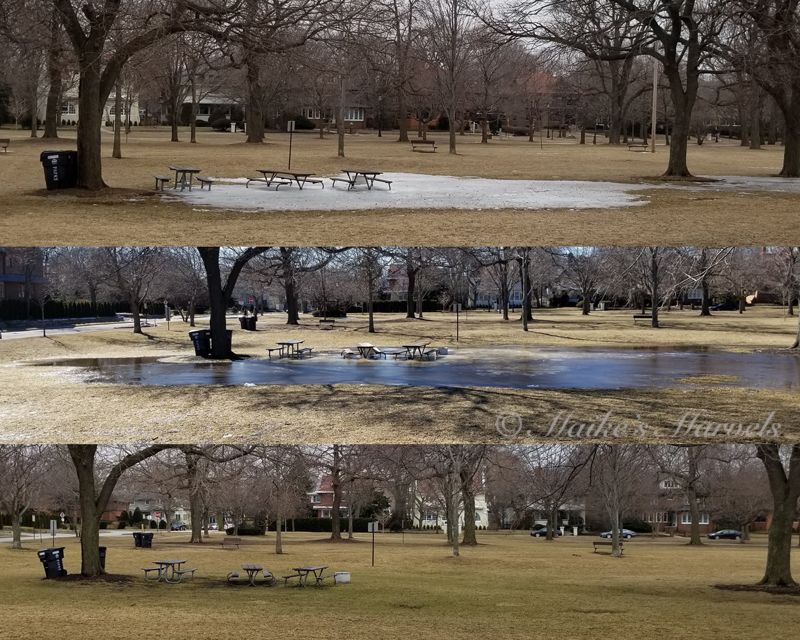 We had lots of rain during Wednesday’s 60-degree Fahrenheit high, and that made a huge difference in melting some snow and ice piles. 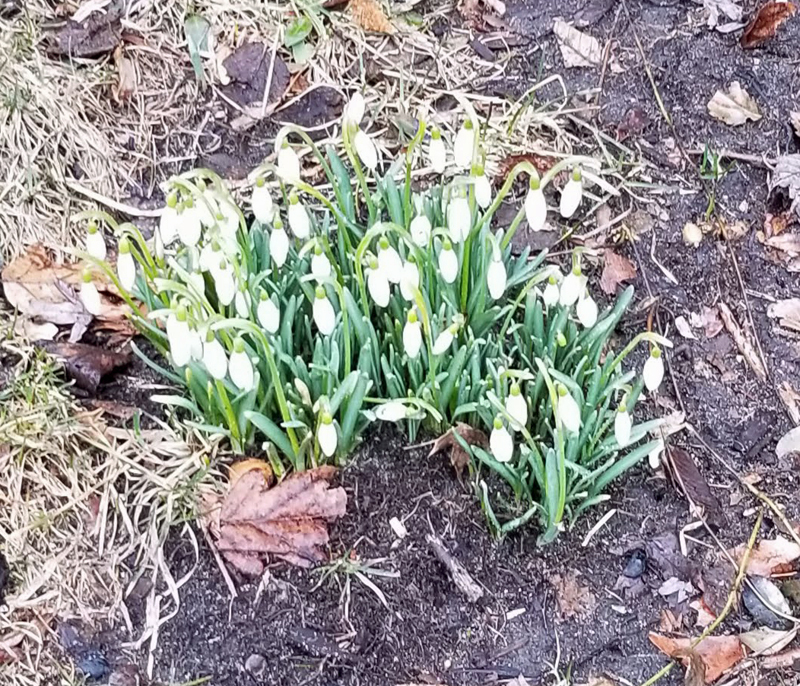 I even spotted snowbells on Friday! 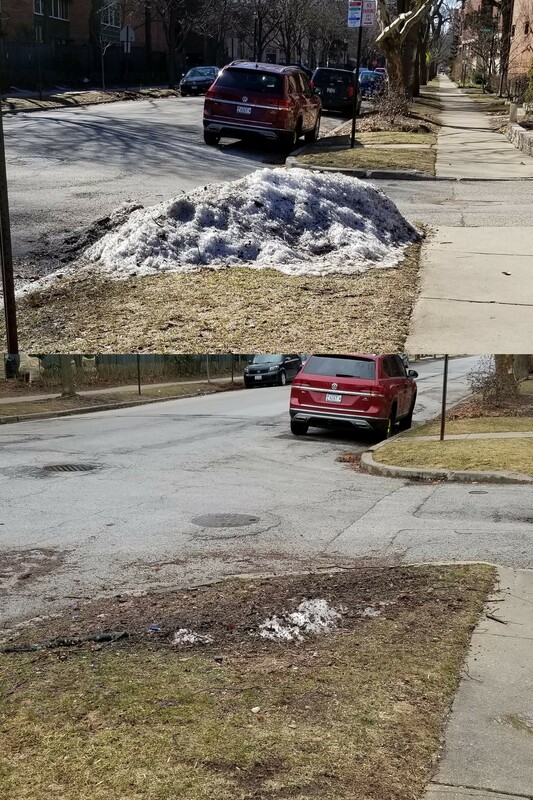 So, in mid-March winter seems to have its final say, and spring is making itself known again. Nothing is set in stone though, so who knows what the coming months will bring in terms of new growth and enlightenment on all levels! I am excited for the nicer weather. 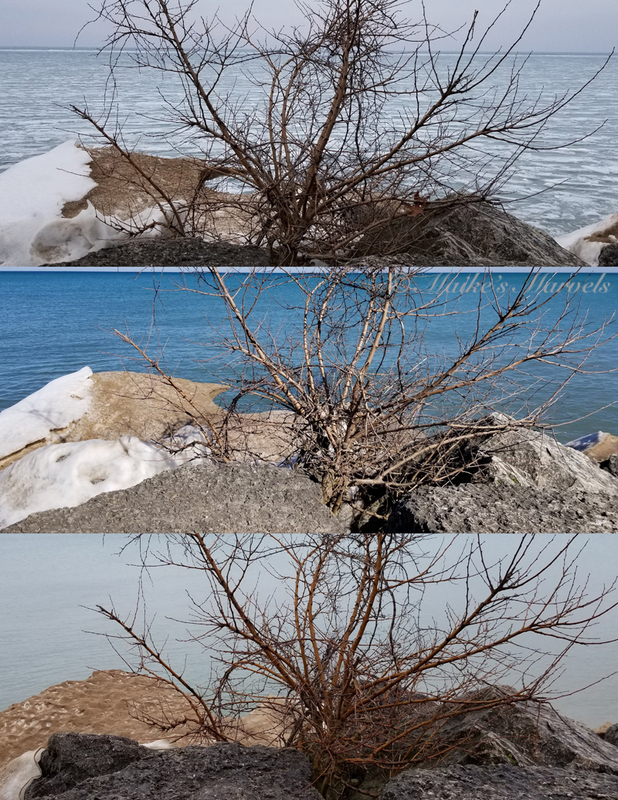 Here’s hoping the ice-covered tree will blossom soon. 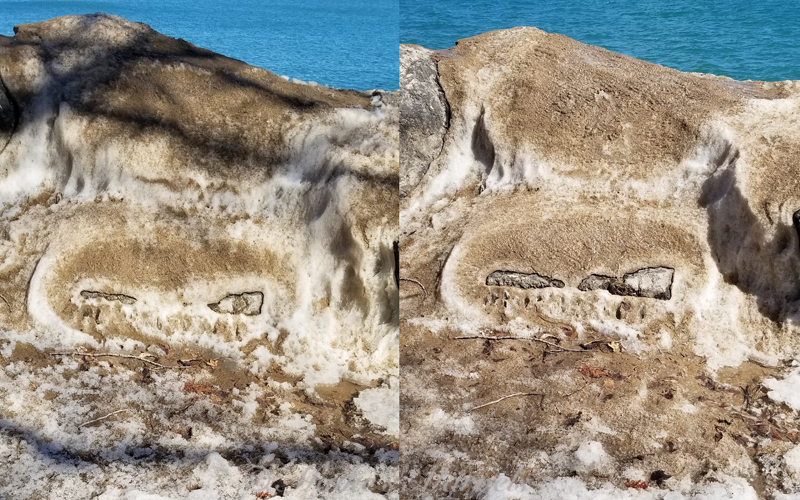 It’s been fun to monitor the ice formations, but I am genuinely ready to see this ice-mess go. Here she is on Saturday, the 16th. 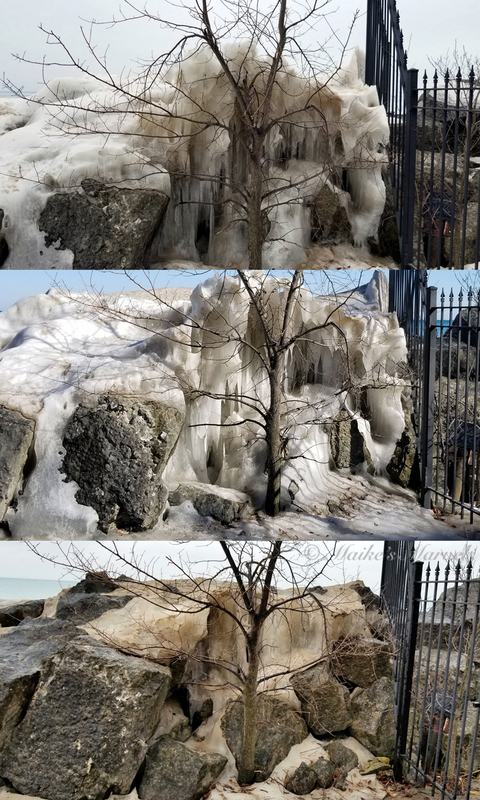 This entry was posted in Nature Photography, Seasons and Holidays and tagged #icequeen, Clark Square, daily walk, daily walks, Evanston Lake Front, ice, ice formations, Ice Queen, lake michigan, long winter, snowbells, winter.